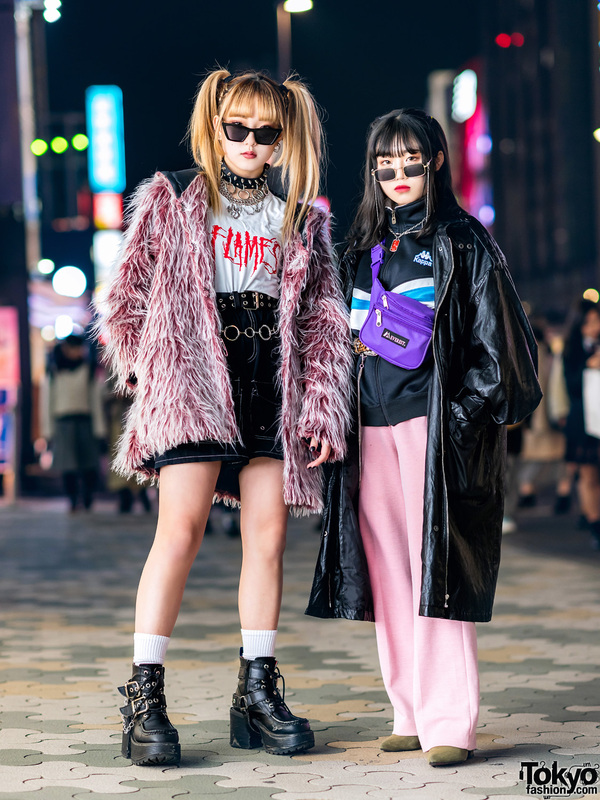 Nanose is an 18-year-old Bunka Fashion College student who we met near the famous Tokyo school’s Shinjuku campus. 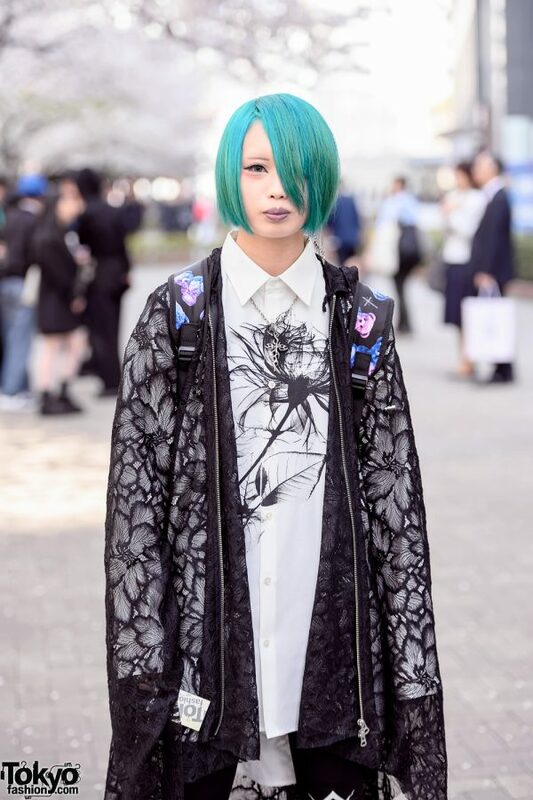 In addition to her striking green hairstyle, Nanose is wearing a gothic/visual kei inspired look with a long black lace coat by the Japanese brand Civarize, over a monochrome Civarize graphic shirt dress, Civarize graphic tights, and Yosuke platform boots. 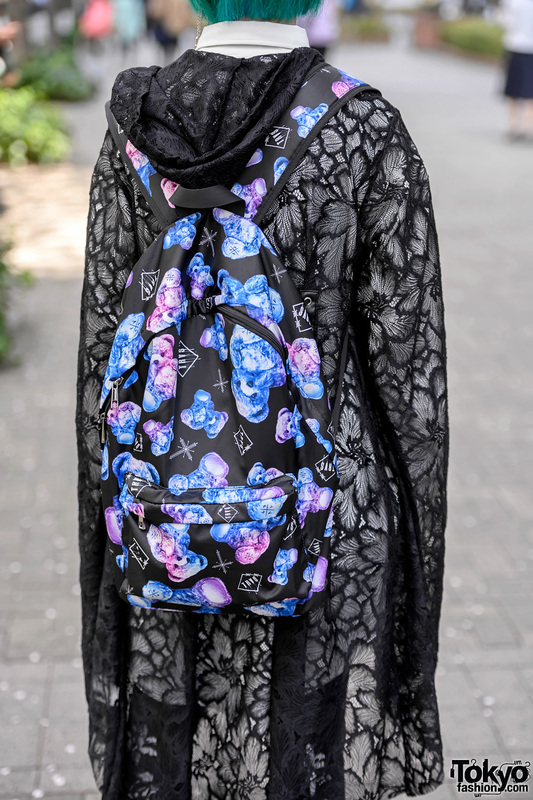 Her Teddy Bears graphic backpack is by TRVS x Civarize and her silver accessories are from Deal Design. Nanose’s favorite fashion brand is Civarize and she likes the music of legendary Japanese VK band X Japan.